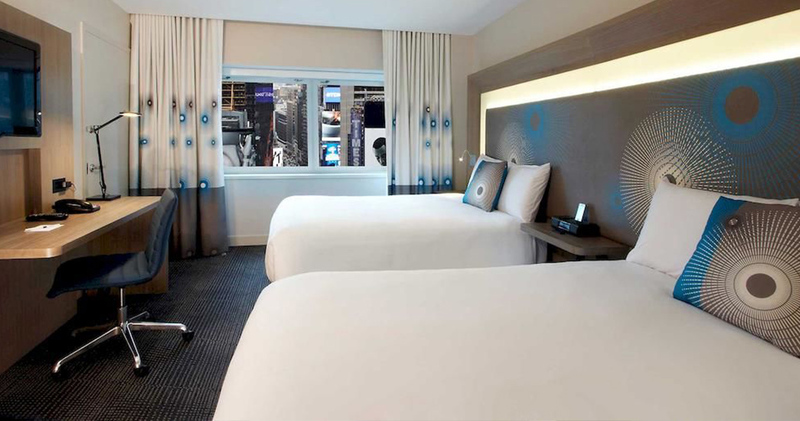 Luxuriate in the elite atmosphere of Times Square while basking in the hospitality of the Novotel New York boutique hotel. 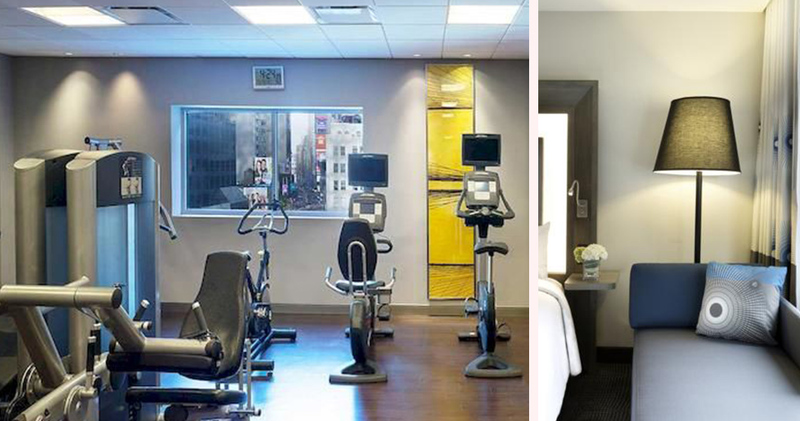 To say that the Novotel New York is at the heart of Times Square would be an understatement. 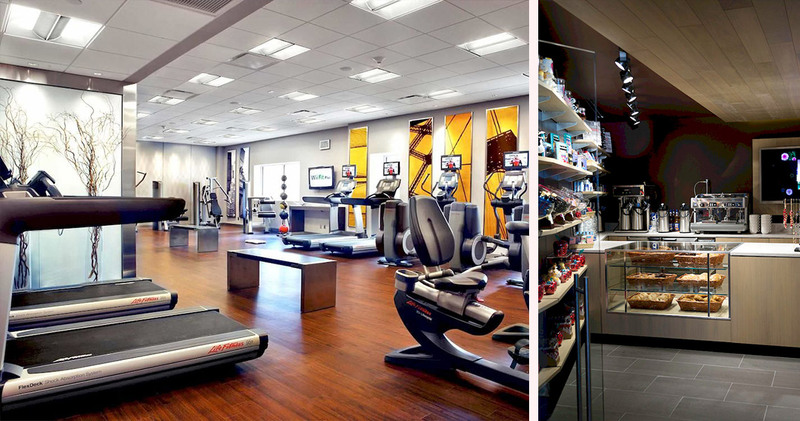 This luxury boutique hotel is centrally located only a breath away from the likes of Carnegie Hall, the Museum of Modern Art, the Empire State Building, and the David Letterman Show. 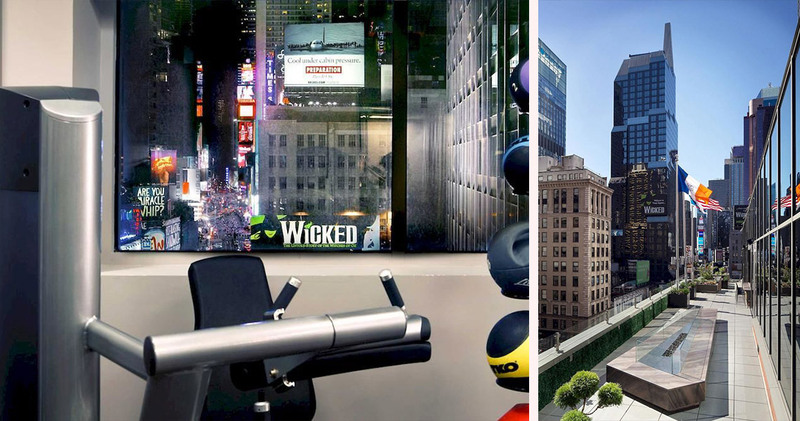 Contemporary without being cold, privileged without being pretentious, guests of the Novotel New York can discover the bustling enthusiasm of Times Square while enjoying every picturesque skyline view. 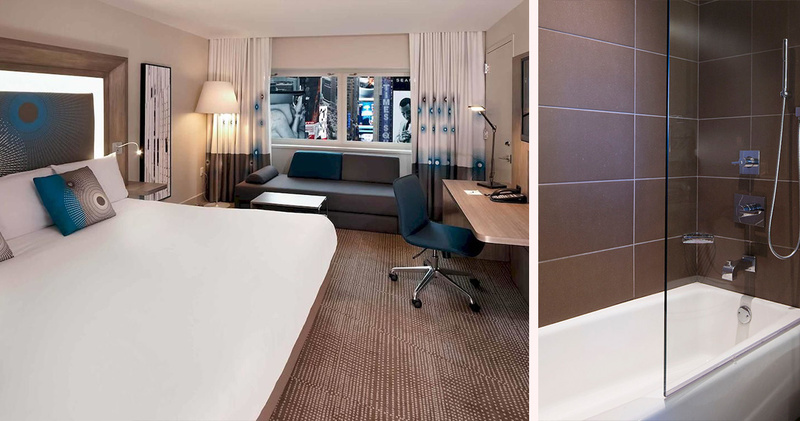 With a selection of 480 sleek and sophisticated guest rooms, the Novotel Hotel New York is steeped in refined amenities. 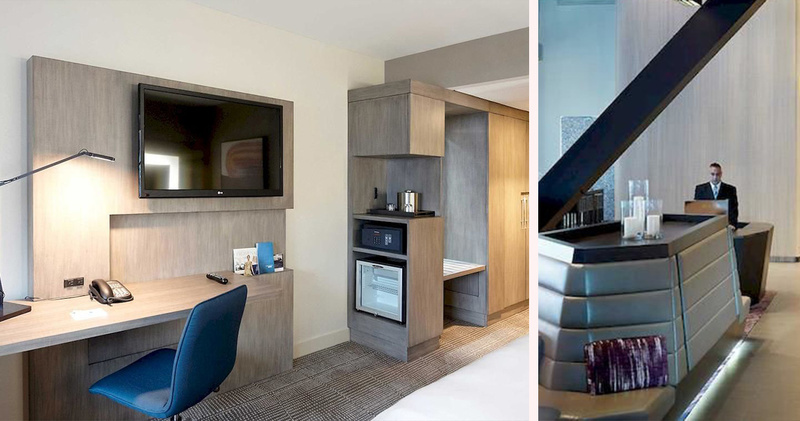 From the rainfall showers to the soundproof windows, the iHome docking stations to the international television programming, there was no stone left unturned when this hotel was recently renovated. 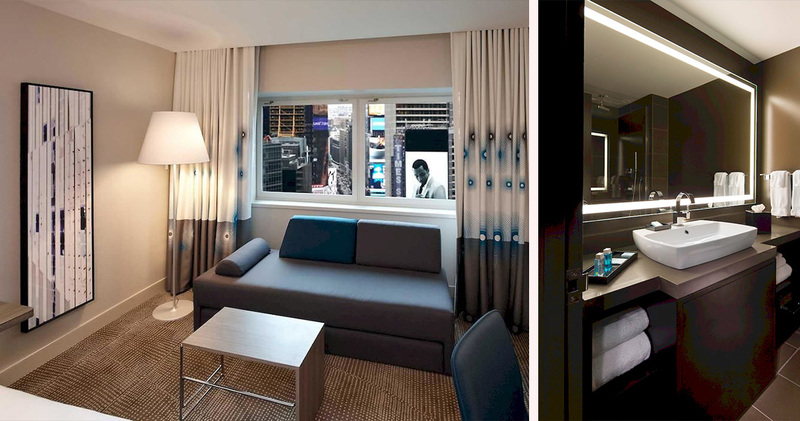 The monochromatic theme of each guest room is highlighted by natural light elements and stunning Times Square views; a contrast for the senses that instils a desire to relax and enjoy life. 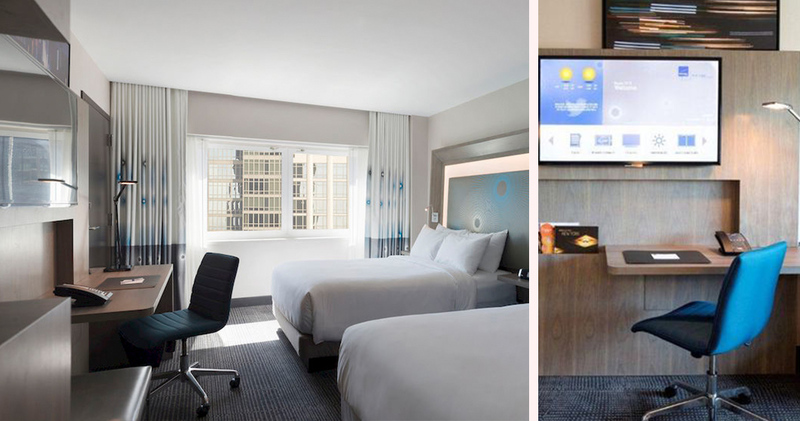 Visitors to the Novotel New York Times Square are treated to classic American comfort foods presented in a modern and thoughtful manner. At the Supernova Restaurant, guests can indulge in the Deluxe Mac’n’Cheese with Alaskan Lobster or the Hot Dogs a la Mode while reminiscing on days past. 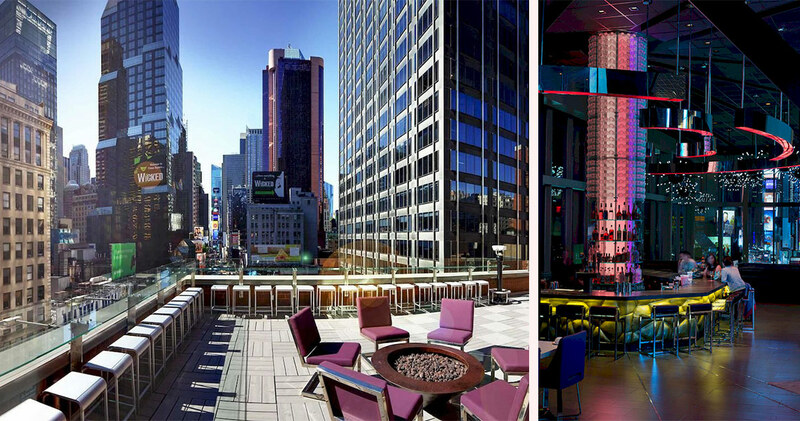 Pamper your sweet tooth with a PB&J or Mulled Apple Cider Doughnuttery Doughnut while enjoying the jovial luxury of the Novotel New York and its amazing social scene.